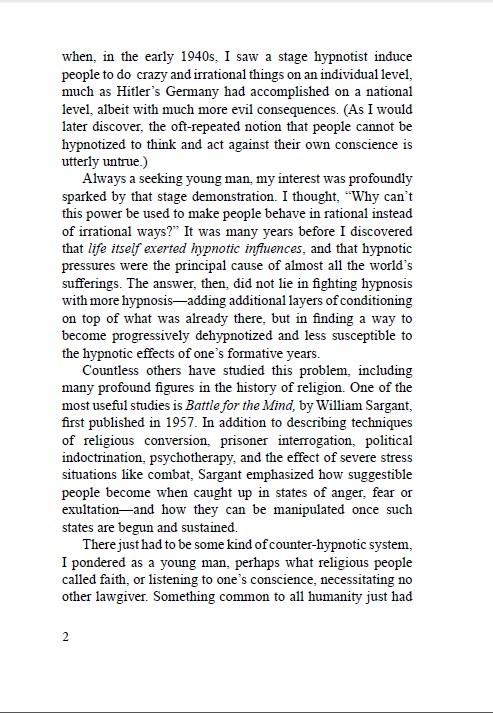 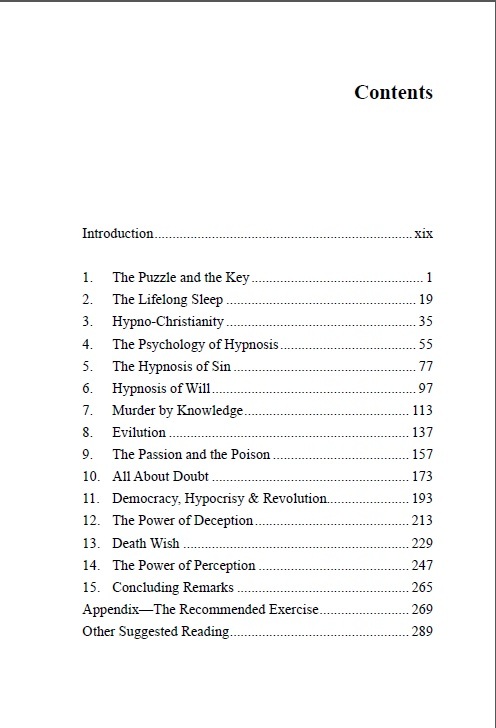 Without awareness of how hypnotic influence works and of how to counter and reduce its influence in oneself and others, even people living in supposedly free societies will become increasingly enslaved to influences largely invisible to them — while simultaneously being hypnotized to regard themselves as free and in charge of their own lives. 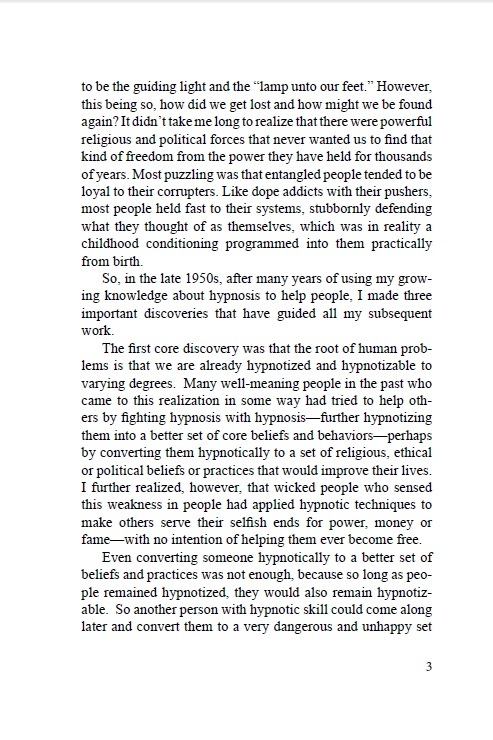 This book shows you how to recognize hypnotic influences and free yourself and others from them. 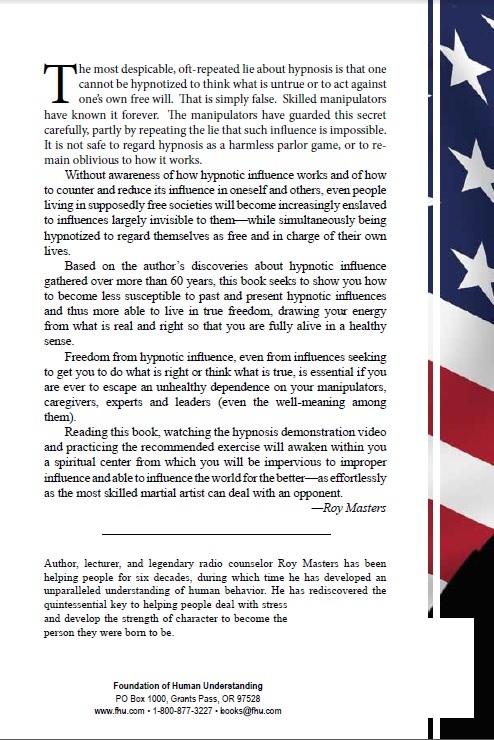 This is by far one of Roys best books. 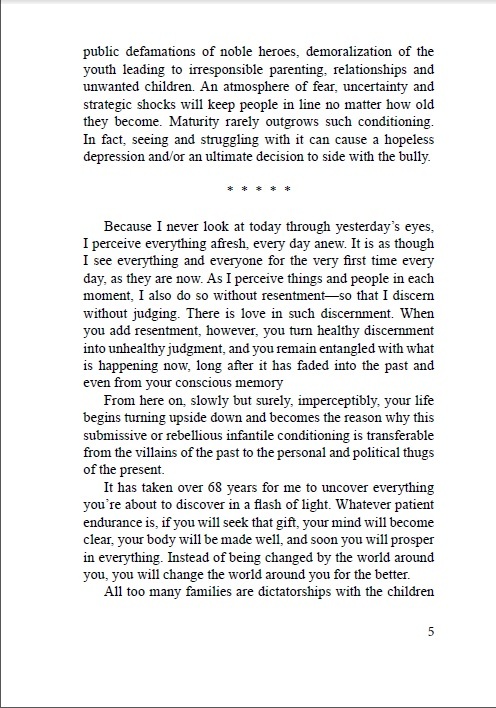 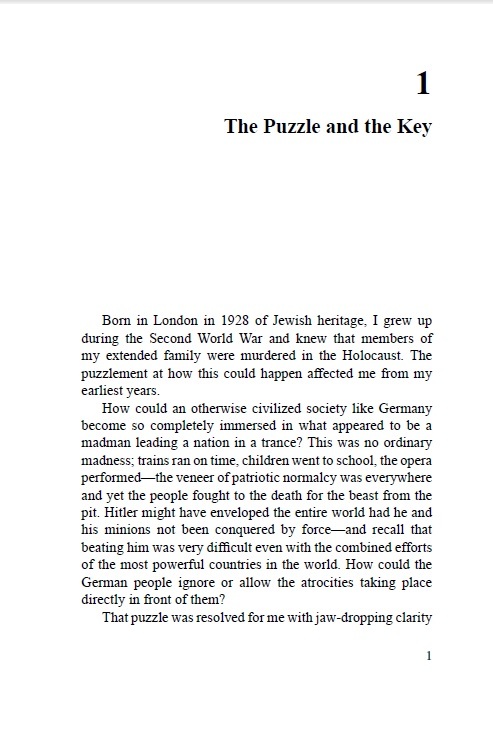 I've read it several times and everytime I open it I realize something more. 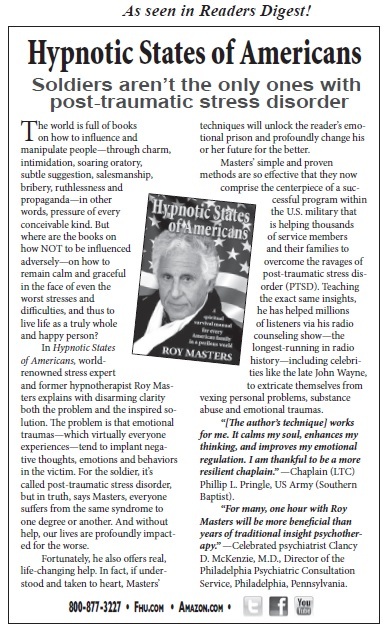 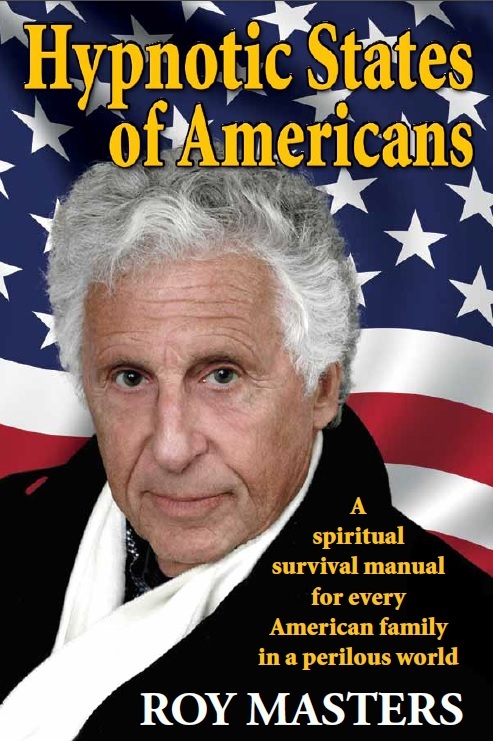 Reading Hypnotic States of Americans was an amazing experience! 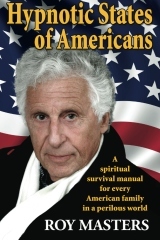 Everything I ever did is in this book! 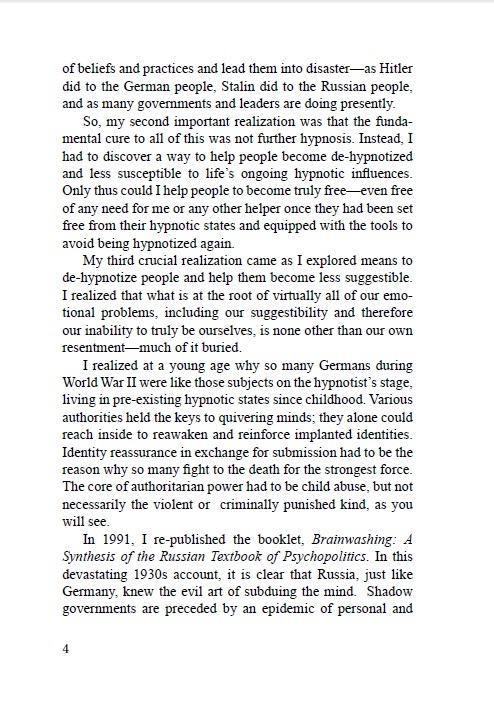 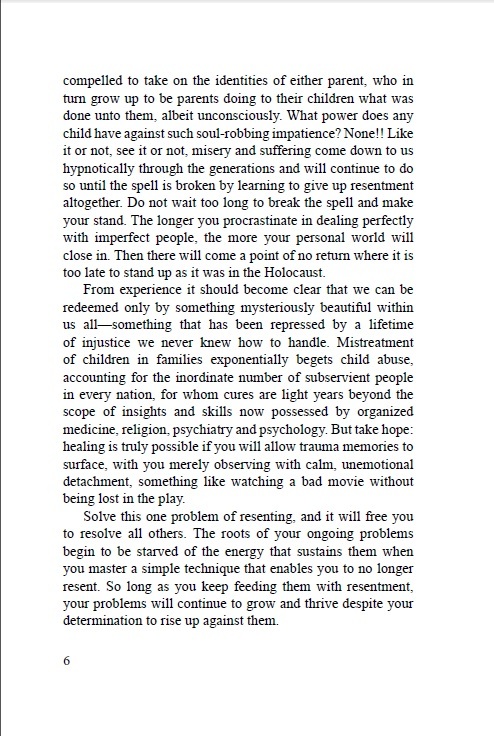 Still wondering after some years of recovery work if I would get better, Roy Masters' hypnotic states perspective for understanding our experiences made sense of mine for me.